Your desk is basically your operation centre. There are people who prefer their workspace packed with things and there are also those who like everything to be stored neatly. It’s said that a clean desk can help a person to be more efficient, thorough, and organised. It helps the mind focus and avoid unwanted distractions. Check out these handy tips to have a tidier workspace every day while slaying your office wear in style. It won't matter if you are acing in fashion department but your work desk is a horrible mess. Give yourself some free space, especially on your dominant side. A blank, neat, and open designated space will make it convenient for you to review your work or sign off any important documentations. Having a clutter free desk gives you easier access to your incoming and outgoing tasks. Go through your pile of work or stashes of documentation like bills, old newspapers, and files weekly so you can separate them for the trash bin or better yet, recycle bin. The only form of hard copy documentation you should consider keeping are your social security letters or bank statements. Even by doing so, you can request for e-documents or scan them and keep them in digital format for safekeeping. Start your day with a quick tidy up or do it before heading back for the day. The most important thing is to manage your mess daily. Spare 10 to 15 minutes a day to do this and it’ll become second nature compared to being a chore sooner or later. They serve as good reminders and can be useful but if you go overboard with them, they can look messy on your desk. Instead of sticking them all over the place, choose a designated area or place them on a bulletin board. 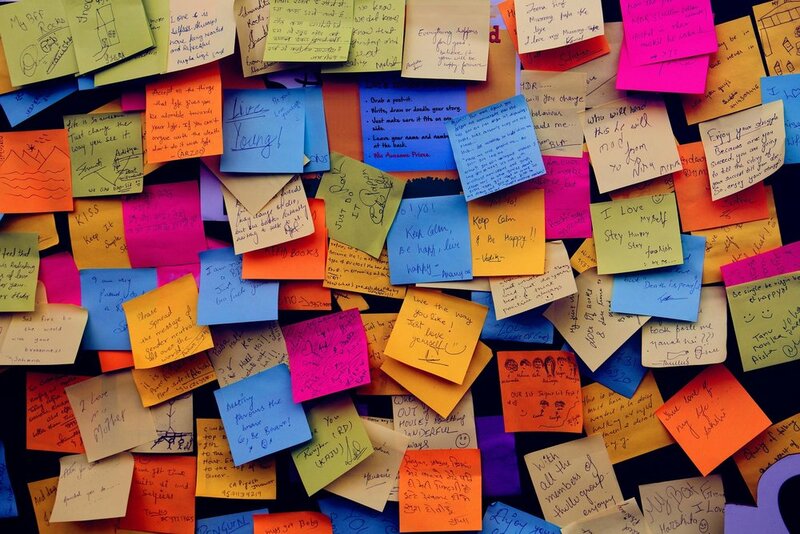 Keep in mind that notebooks or Google calendar work better to keep progress reminders whereas sticky notes are good for brief daily reminders. Besides sticky notes and paper clutter, there’s also the stationery clutter. Having your pens, pencils, stapler, highlighters, and so on and so forth strewn across your desk can be distracting. Get a pencil case or a stationery holder to keep them in place. If you don’t like seeing them on your desk, you can also choose to keep them in your drawers or boxes near your arm’s reach for convenience sake. Tangled cables are a pain. Organise better by getting a cable organiser. It comes in different styles and sizes plus serves to hide the cables from view as well as to declutter your desk area. Allocate enough space for the things you use daily when you use a cable box. Your mobile cable, laptop or PC cables and the occasional laptop fan cable can be used on one cable organiser- so easy! Personalising your work desk gives encouragement and livens up the mood at work. Just don’t go overboard with the little knick knacks you place but instead choose those of significance to you. Photos of your loved ones works best and takes less space. Remember that having less is more. If your things take up more than half of your working space, you may need to redecorate your space, pronto!